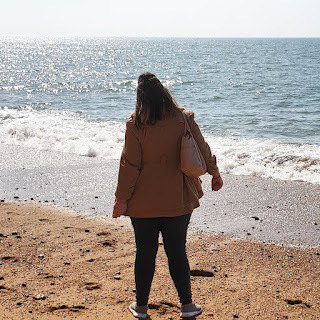 Way back at the start of 2019, I launched the Sugar Pink January challenge. 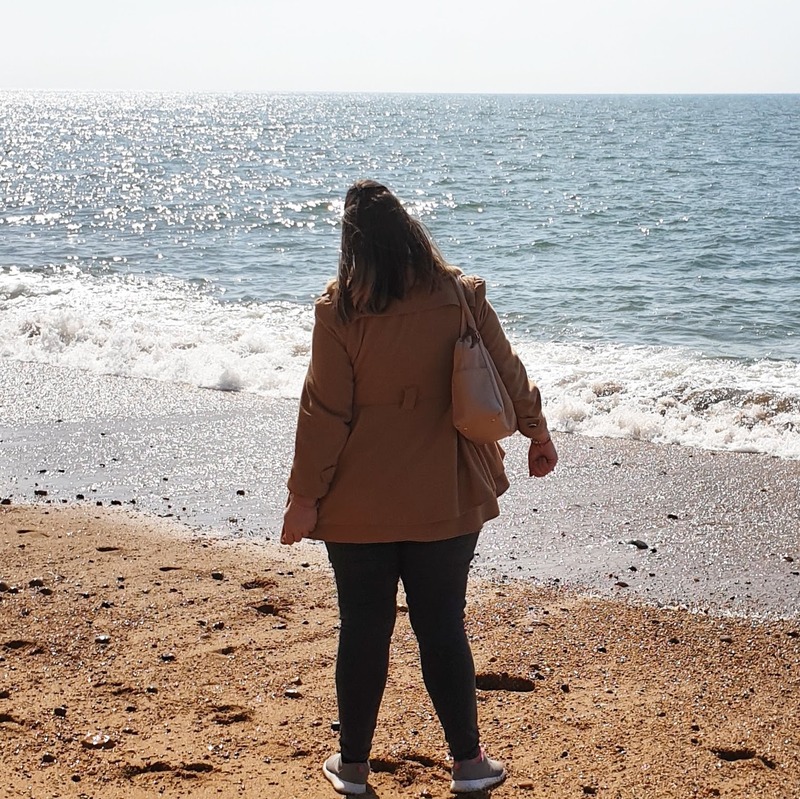 The idea behind it was to create a supportive community of like minded people, who are all working towards the common goal of losing weight and getting fitter. 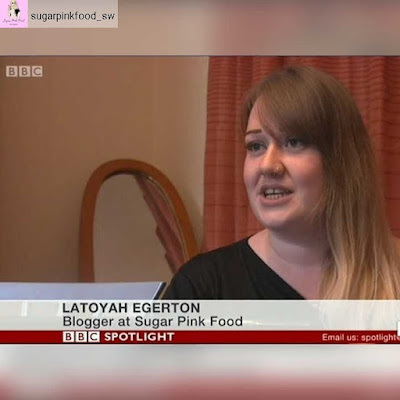 I even had our local BBC spotlight news come and visit me and film all about the Sugar Pink January challenge. I was also on the local radio, talking about all the amazing people that had signed up to take part in it. Throughout January, myself and the others on the January challenge had been working hard to keep on track and lose as much weight as we can. I personally lost 7lbs in the month, which I was really pleased about. 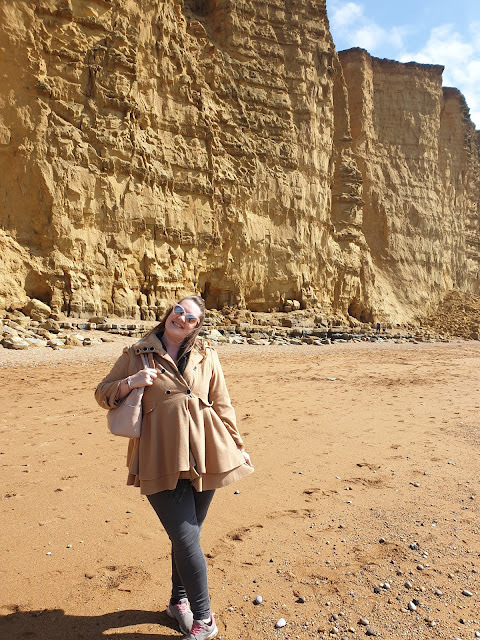 Of the people that submitted their losses, an incredible 35 stone was shed collectively! 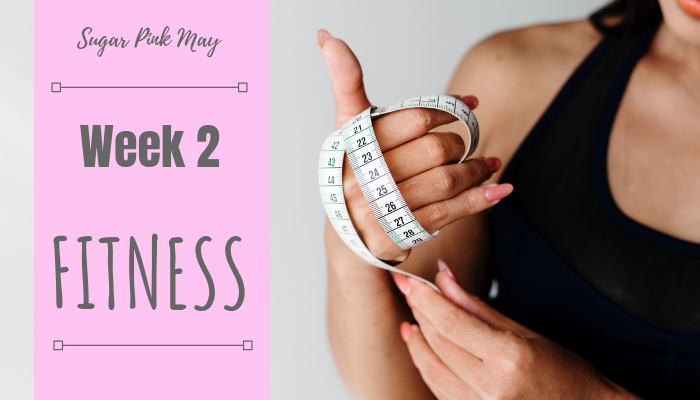 Download the 30 day workout plan here, as well as the Sugar Pink May Workbook an Worksheet! The challenge is to continue 2019 in the healthiest and best way that you can. Whichever diet plan you may be following. The challenge is open to anyone on any plan. Ultimately the aim is to improve your diet and fitness for May. 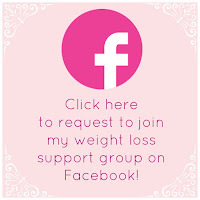 A huge part of the challenge is holding yourself accountable for taking part by regularly posting withing a closed group. The May challenge will be 30 days, each week will have a different theme to work on. In week 1 we will focus on food, eating healthily and sticking to your diet plan EVERY day. As it is the first week of the challenge, we need to get our heads in the game and make sure that we set ourselves up with the right for the rest of the challenge. As I mentioned previously, this challenge is open to anyone on any diet plan. 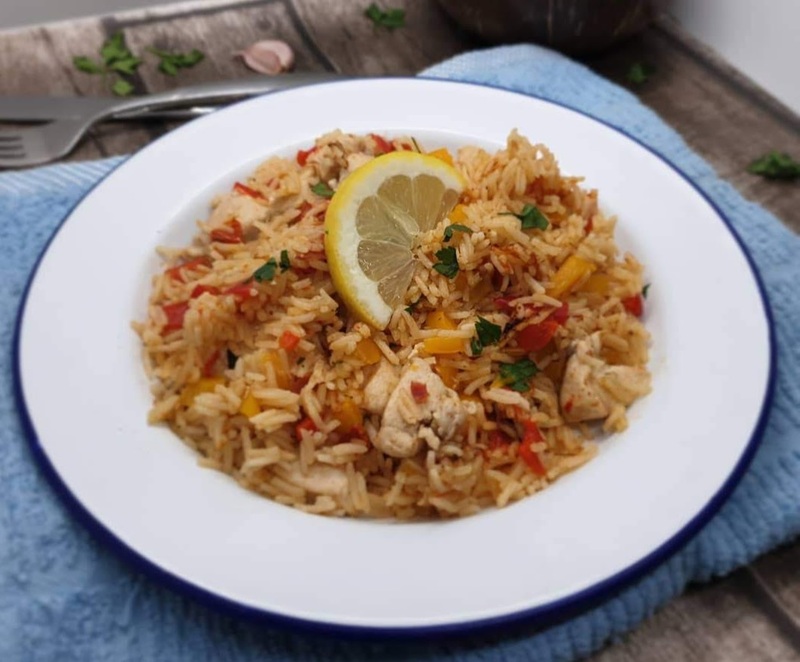 Of course you are welcome to use any of the recipes from my website, or alternatively follow my own low calorie 7 day meal plan. You will be encouraged to post your daily food photos in the Closed Facebook Group, to hold yourself accountable and to help inspire others. I have put together a mini workout plan for the whole 30 days, but week 2 is when the main focus will be on this. The workout plan is very gentle and aimed at those who are perhaps not currently working out, but would also be a good addition for anyone who is currently working out. Week 3 is all about finding your focus, setting goals, and putting everything you learnt in weeks 1 and 2 into practice. By this point you should have been on plan for 2 weeks, as well as increasing your fitness. After 3 weeks of food, focus and fitness, the final week is all about fun! We will be focusing on the lighter side of dieting and fitness, and the things we can do to help make it more fun. There will be some mini photo competitions and challenges to take part in, as well as some prizes to be given away for those that have thrown themselves into the challenge. All will be taking part in the Closed Facebook Group! The challenge is FREE to take part in! 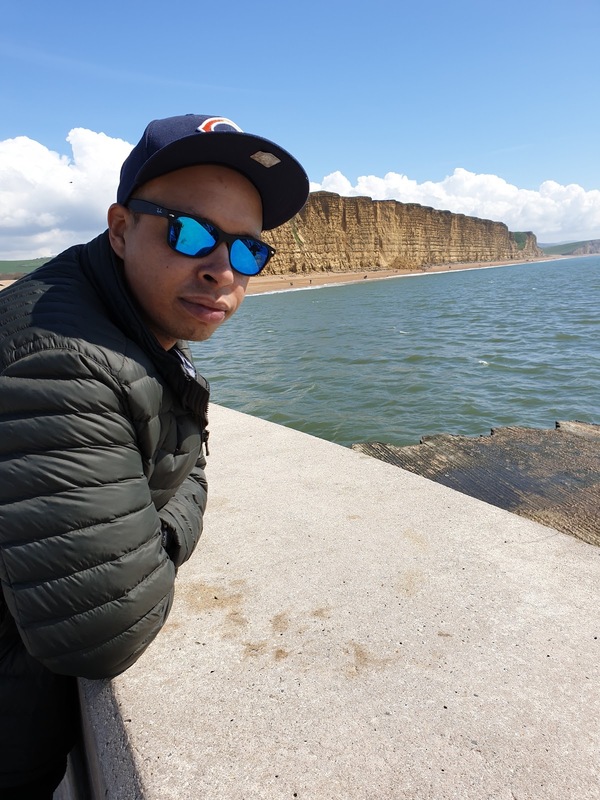 I will be running the challenge predominantly from within the special closed Facebook group. 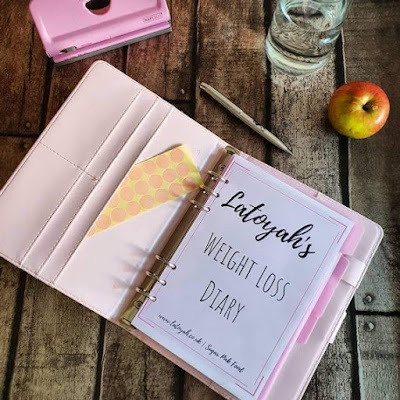 I may offer products to help you with the challenge, such as my planners or meal planning kits, but you don't need to purchase anything to get involved and come along on the journey. The only real cost is your own time and effort to help improve you health and wellbeing! I will be a little bit stricter this time, and those who are not actively taking part in the challenge will be removed. 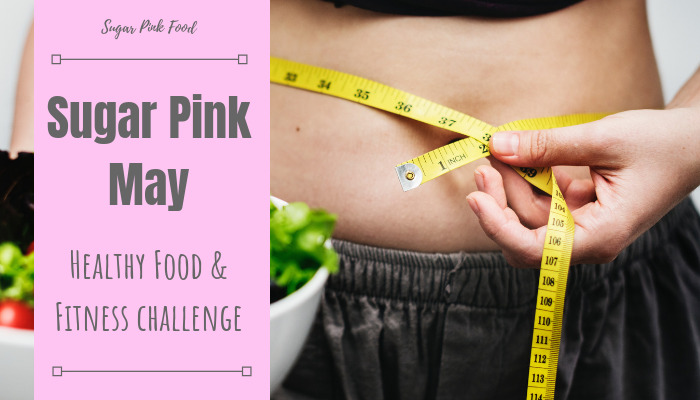 Listen and subscribe to the Sugar Pink Podcast as we chat about the challenge and lives trying to lose weight! I recently discovered the Schär gluten free ciabatta rolls in my local shop, and bought some to try and create a Garlic Bread Recipe that was slimming friendly. They come in a pack of 4 and I only used 2 for the garlic bread recipe. Aside from garlic bread, one of the first things that comes to mind when I think of ciabatta bread is Bruschetta. It's type of Italian antipasto made from thick slices of toasted bread rubbed with garlic, olive oil and salt. These create the base for any number of delicious toppings. 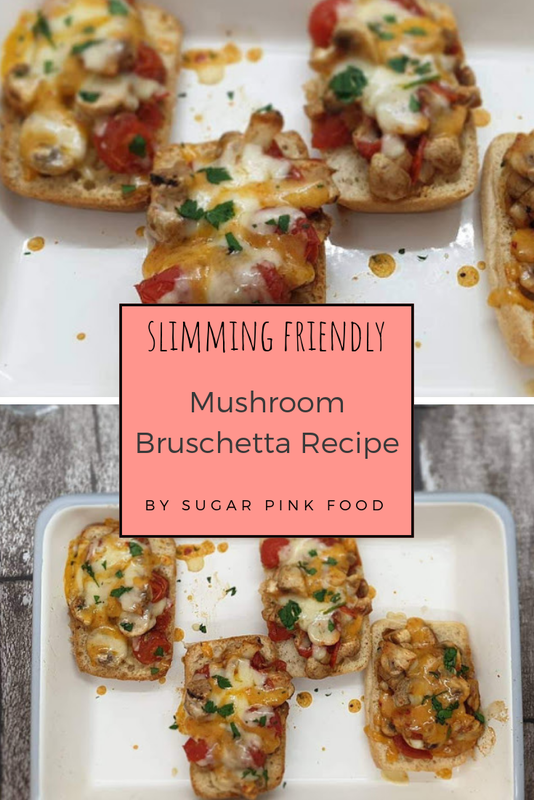 This recipe is for a cheesy, mushroom bruschetta which is super delicious and easy to make. Once you master this one, you'll be getting creative with different toppings in no time. The more veg you can get on there, the better! Thinking of trying out these recipes? If you do, I would love to see a picture of your creation! @SugarPinkFood on Twitter, @sugarpinkfood_sw on instagram or Sugar Pink Food on Facebook! All syn calculations are my own, and are for guidance only. I am not affiliated with Slimming World in any way. These are meals and recipes that I have followed myself. Always double check values as the plan often changes. Slice each ciabatta roll in half, length ways. Lay the slices out on an oven proof tray. Spray them with a generous amount of low calorie spray. Place in the oven for 4 mins. When 4 mins is up, remove and set aside. Slice the mushrooms and cut the tomatoes into quarters. Gently fry them off in a frying pan with low calorie cooking spray. Add some salt, pepper, and a pinch of paprika. Peal a garlic clove and and rub it over each slice of the bread. Top with the cooked mushrooms and tomatoes, then add 20g extra light cheddar on each slice. Place back in the oven for another 5 mins, or until the cheese has melted. The key to keeping on plan and on track, for me, is to make and stick to a meal plan. Sure, it can take time, but in the long run it saves so much time. There's nothing worse than coming home from work and having to work out what to have for dinner and how many calories or diet points you have left etc. 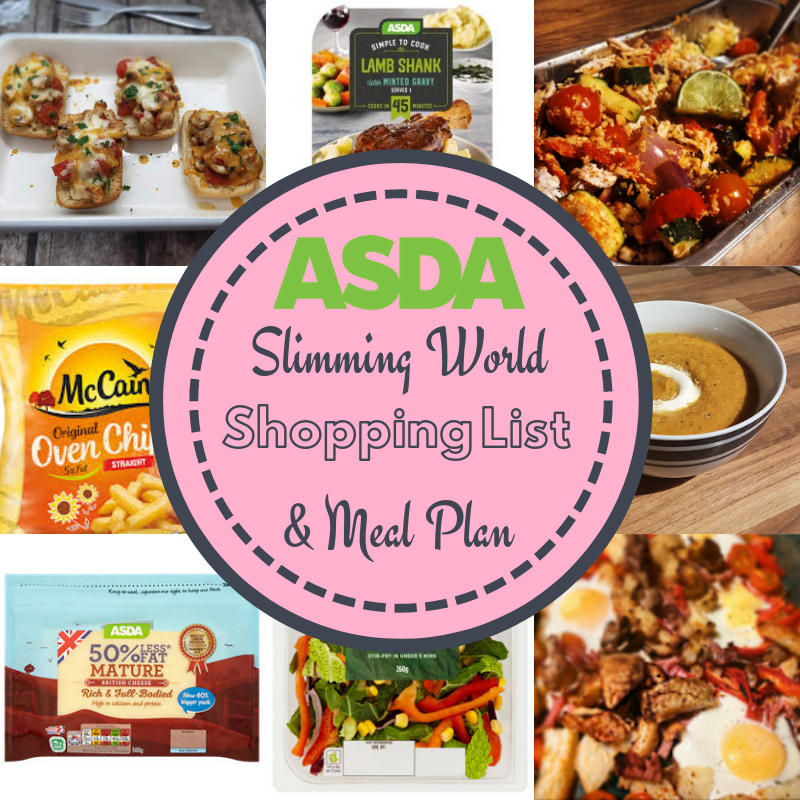 I have put together meal plans do Iceland and Tesco, and had a lot of requests to add an Asda one to the mix as well. 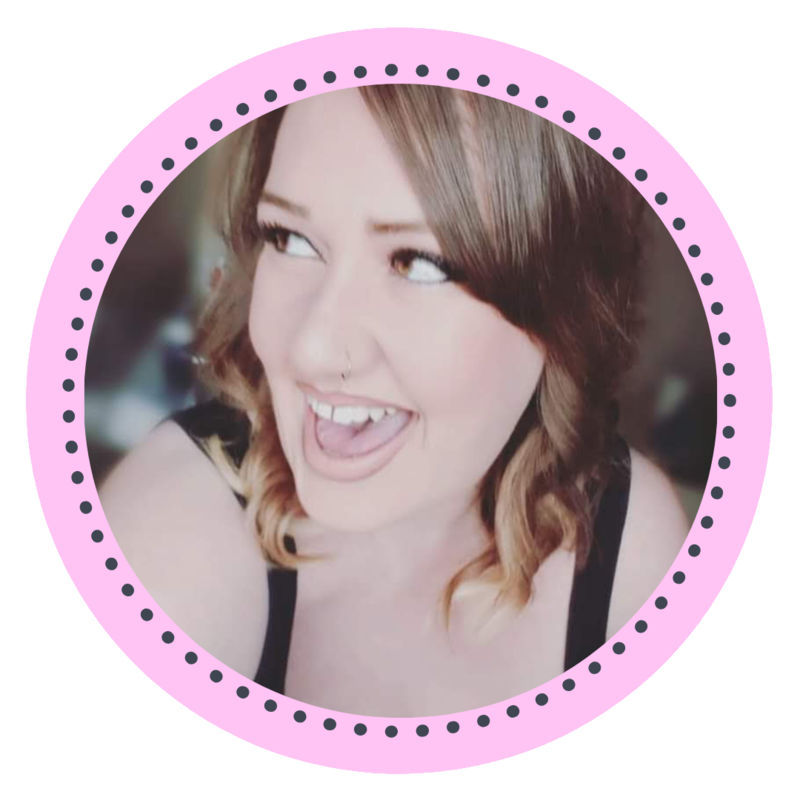 Check out my planners and kits to help keep you on track! Don't like any of the recipes? 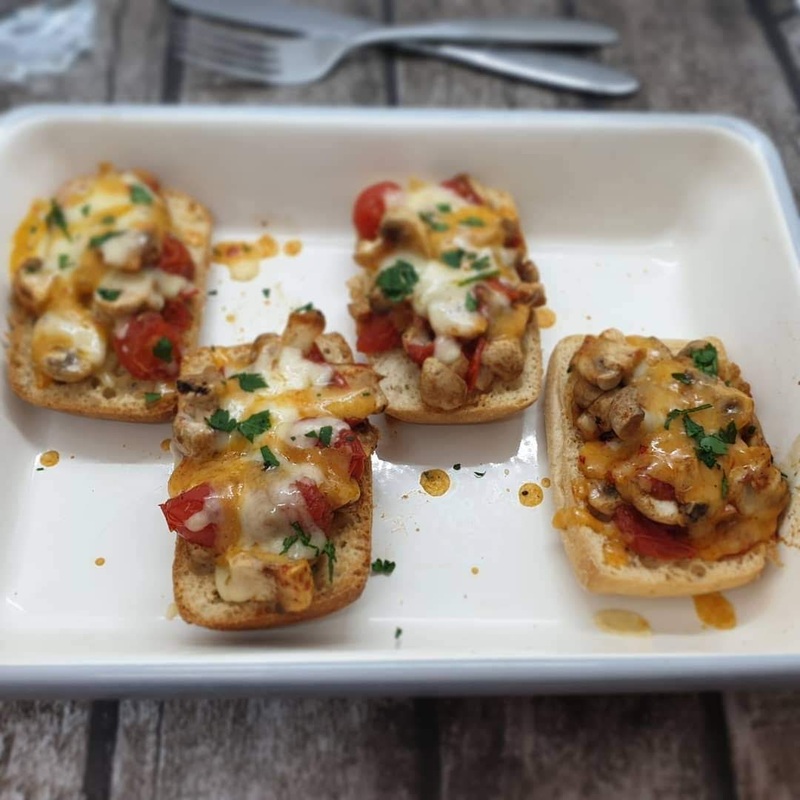 Have a look at my full recipe index for more ideas! Syn calculations are my own and should always be checked via the Slimming World website or app. This website is unofficial and in no way part of or representative of Slimming World. Ideally, you should check with Slimming world for the most up to date Syn values using official resources such as; the Syns calculator, Syns Online on LifelineOnline or by calling the Syns Hotline on (0906) 851 8518. Just add some ham to the pre-made mixed salad. If you add sauces, don't forget to syn! If you add sauces, don't forget to syn! 1 Healthy Extra A left over. Cook the noodles as per pack instructions, stir fry the veg, add the chicken and noodles! Just add some ham to the packed cous cous. If you add sauces, don't forget to syn! 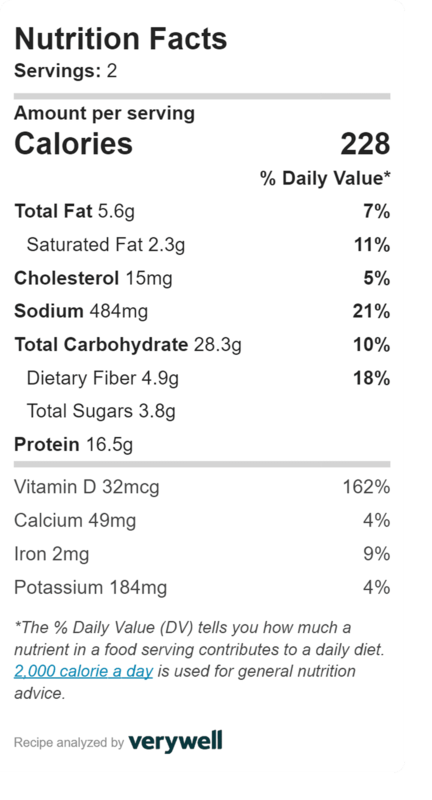 Check out my other meal plans here! Nutritional calculations are all carried by Sugar Pink Food and are for guidance only. I am no affiliated with Slimming World. These are the plans I have followed myself. 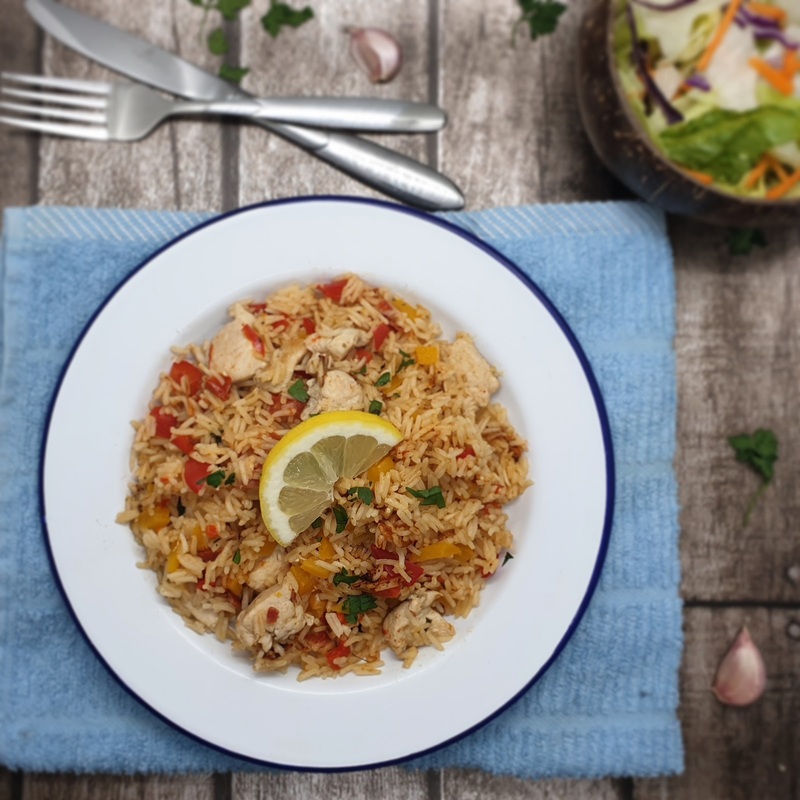 If you've ever visited my website before, you'll know that I love healthy, low cost, delicious meals. My whole blog has been built up from this passion, and I love to cook and create new recipes. 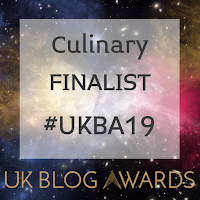 While I have a whole selection of delicious recipes on my blog, sometimes it is a lot easy to follow someone else's recipe or idea. The recipes that I publish have all been tried and tested, and a lot of practice has gone into making them. Whenever I cook something for the first time I have to note everything I add into the mix, and every step of the process so that I can reproduce the recipe if the dish is a success. 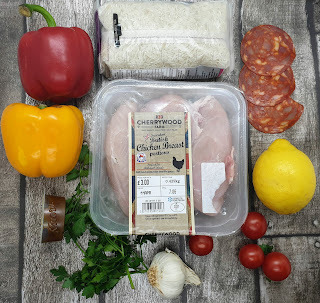 Hello Fresh recently got in touch with me to introduce me to their recipe index, and to ask if I wanted to give one of their quick and easy recipes a go myself. 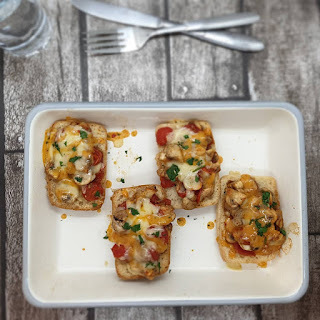 You have probably heard of the Hello Fresh boxes, but now you can follow some of the most popular recipes yourself. The first one that caught my eye was their 'Record Breaking Chicken Paella'. 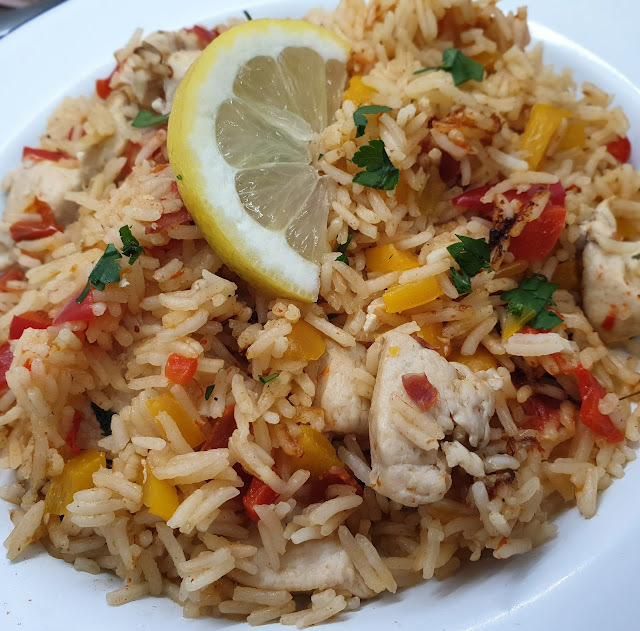 Simple rice dishes are proper comfort food to me, and the taste of Paella always reminds me of sunshine and summer. Spray a frying pan with low calorie cooking spray, then turn to a high heat. Season your chicken well with salt and pepper. Add your chicken to the pan and fry for a few minutes. Once brown on all sides, remove and keep to the side. Add another spray of low calorie cooking spray to the frying pan. Add your peppers and tomato.Cook for a few mins until softened. Add in your garlic, your rosemary leaves and the chorizo. Add your chicken stock and chicken. Give everything a good stir. Reduce the heat to medium-low and cook for 15-20 mins. Tip: Don’t stir - a good paella always has a crusty bottom! Once the liquid has been soaked up, take your paella off the heat. Cover with a clean tea towel and leave for 5 mins. Serve with your remaining parsley and big wedges of lemon. Is there anything better than binge watching a really good TV show? My boyfriend and I love watching TV shows together, and have all the big streaming services. We started a big list of programmes and series that we wanted to share with each other a while ago, and have slowly been working through it. The list is made up of TV series that we had perhaps seen before we were together, that the other hadn't ever watched, or things neither of us have seen. 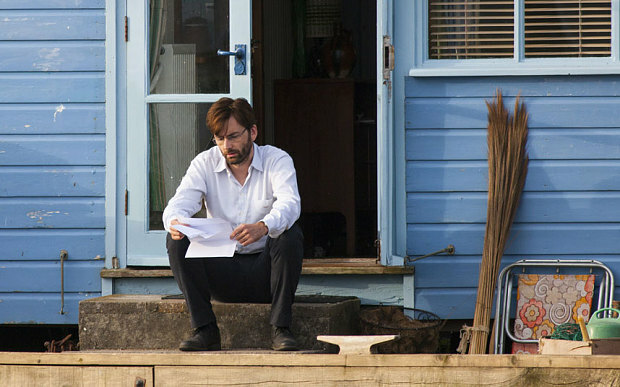 Broadchurch was the top of my list to share with him, as it was one of my favourites at the time. It was originally aired between 2013-2017, so I hadn't seen series 1 for a while and was ready to start the ride all over again. 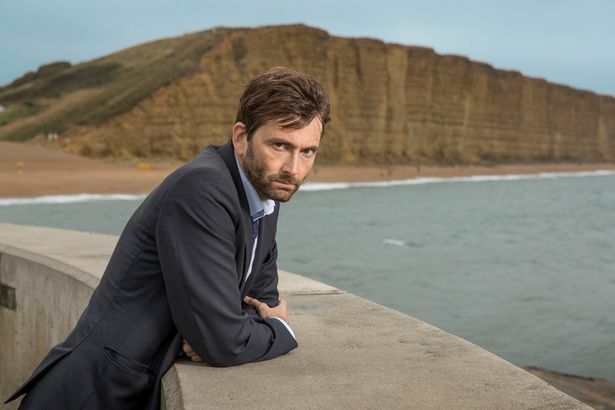 For anyone who hasn't seen it, the story focuses (in season 1 at least) on the discovery of a young boy's body on an idyllic Dorset beach, which rocks a small community to the core. 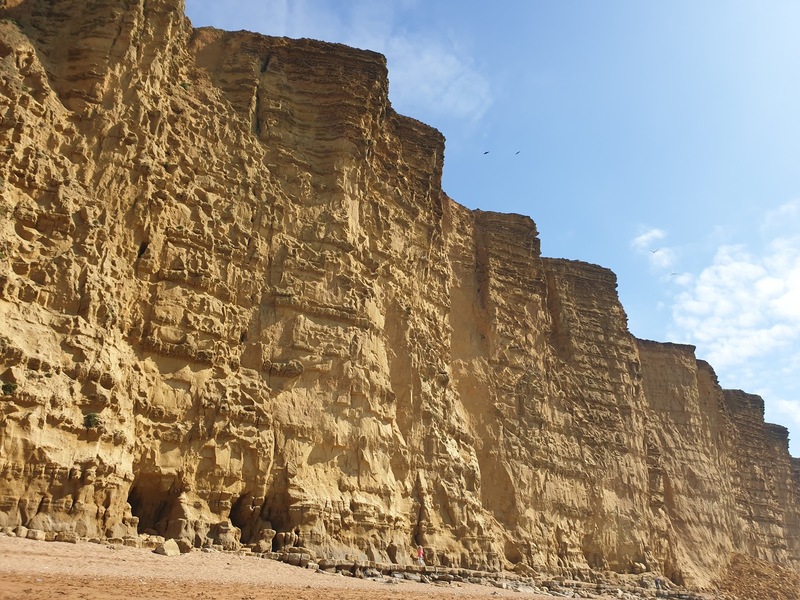 A lot of the scenes were filmed at the base of a stunning cliff, which is the focal point for a lot of the action. 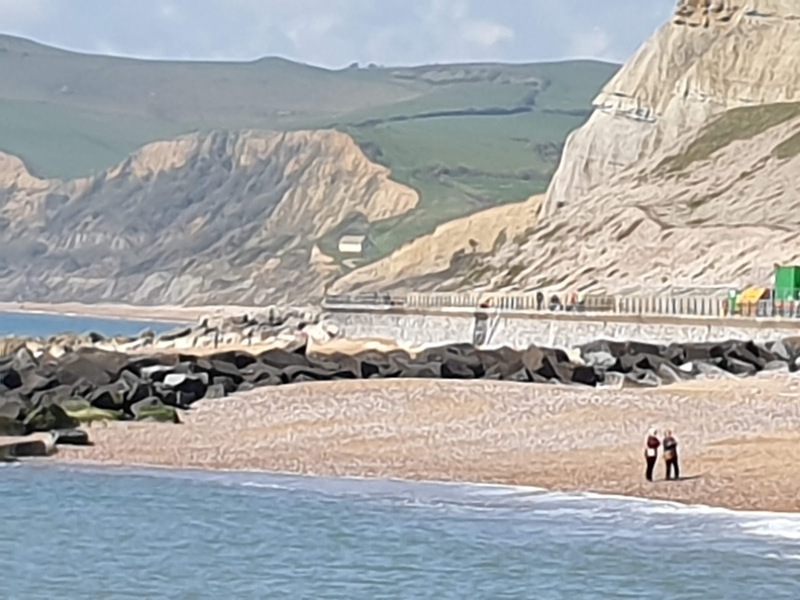 We often commented how beautiful it looked there, and wondered where it was actually filmed in Dorset. After a quick Google, we discovered that a lot of it is filmed at West Bay, Bridport, in Dorset, which happened to only be an hour away from us. 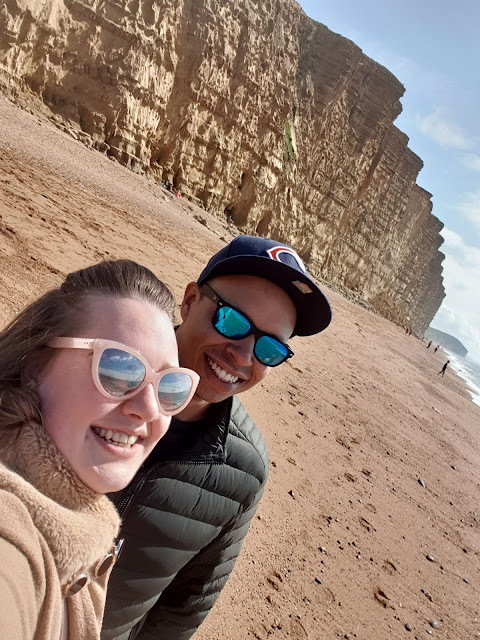 We had a Monday off together, and decided to make it our mission to find West Bay and see how many of the famous filming locations we could find! Because why not take your current binge watching obsession that one step further? A lot of the promo shots were taken in this exact spot. 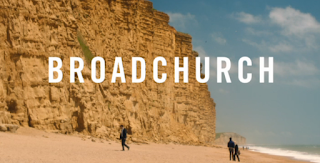 With the famous cliffs as a beautiful backdrop, David Tennant and Olivia Colman have stood in this very spot! My boyfriend doing his best David Tennant impression! 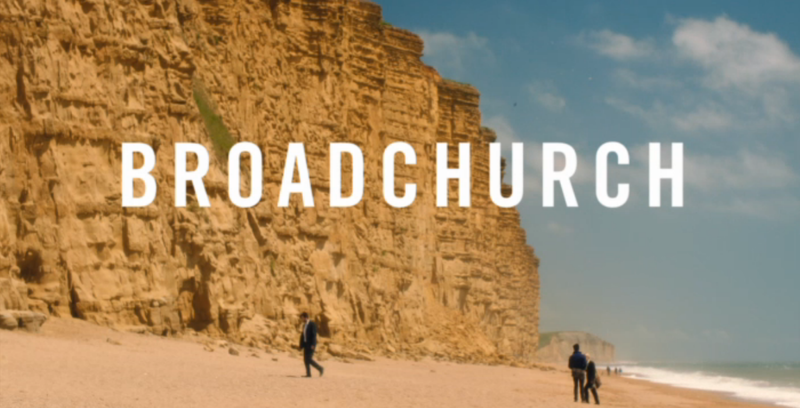 A lot of Broadchurch scenes are based in the police station, which is a very distinctive building. 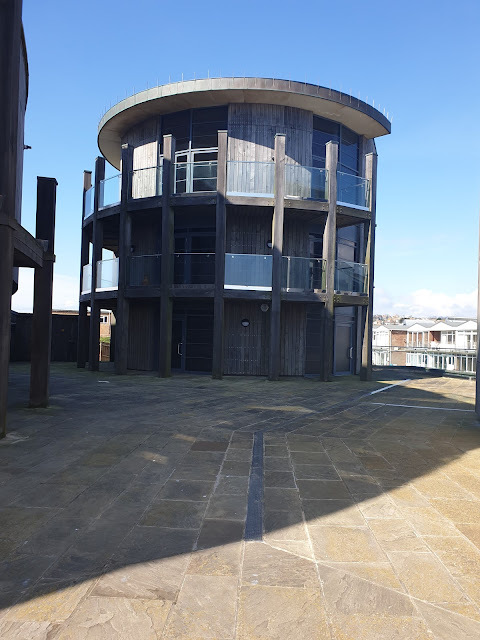 The building that they used is actually not a police station in real life! In fact, it is a block of luxury apartments and penthouses. 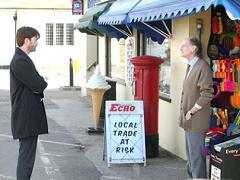 Thanks to the magic of television and the use of a Police Station sign on the front, it was transformed in the one of the main focal points of series one. This one looks a little different than it did when it appeared in series one, but there is no denying that it is the same place! 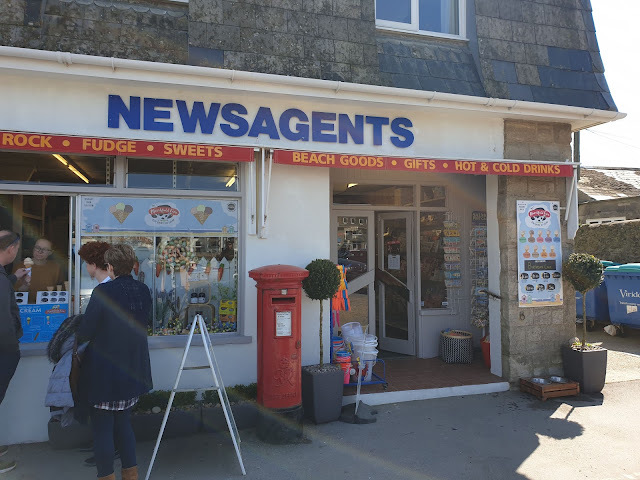 An interesting fact that we learnt when researching filming locations was that the inside of the newsagents was actually some 70 miles away from the outside! 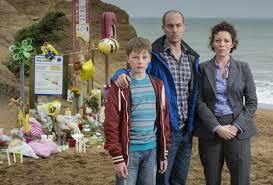 At the base of the cliffs was where Danny's memorial could be found during the series. 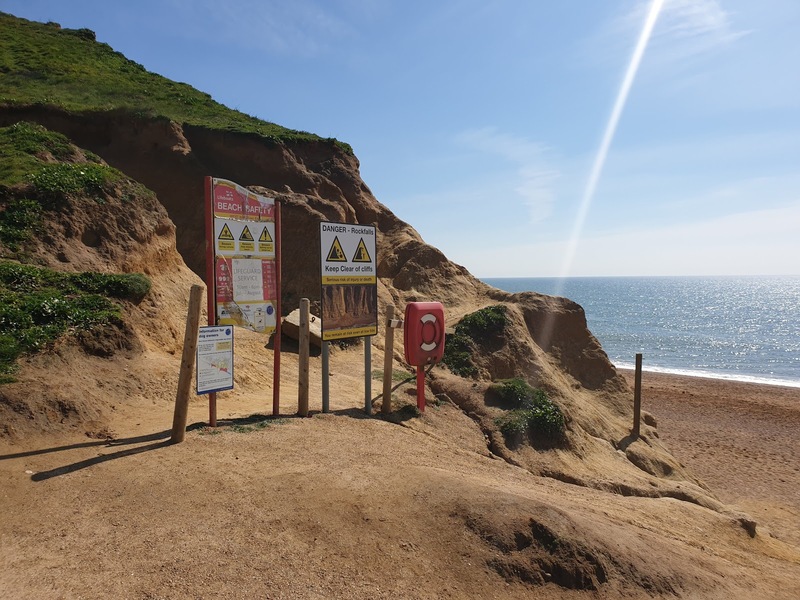 The signs have changed a little, thanks to recent cliff collapses, but it is clear that it's the same spot! 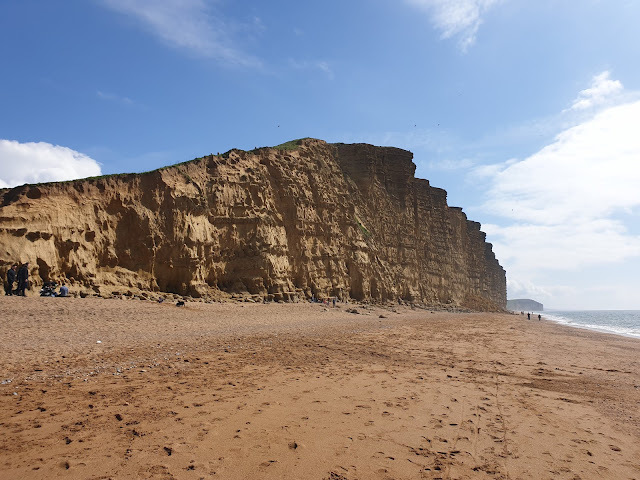 We found out after our visit that these cliffs are actually notoriously dangerous and prone to collapse and rock falls. That didn't seem to stop everyone climbing up the cliffs and being sat directly under them though! In the next bay over there is a little hut which played a huge part in the story line. We didn't make it to visit it up close, but did capture this picture of it in the distance! 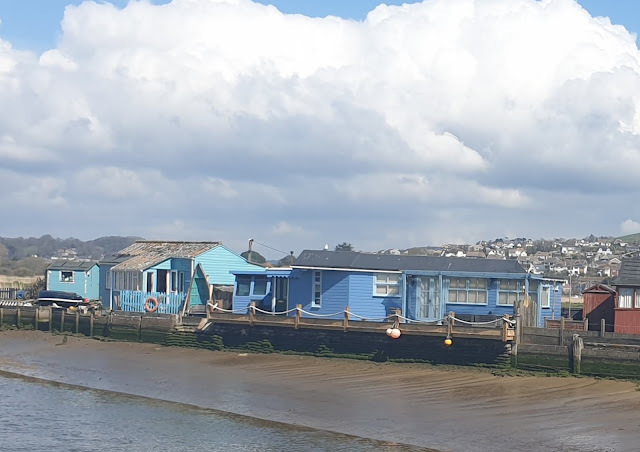 The blue cabin that DI Hardy lived in in series 2 can be seen here. This is just someones house now, so we couldn't get much closer than this! There are also a few other locations near by, and we are excited to go back again and see the rest of them! 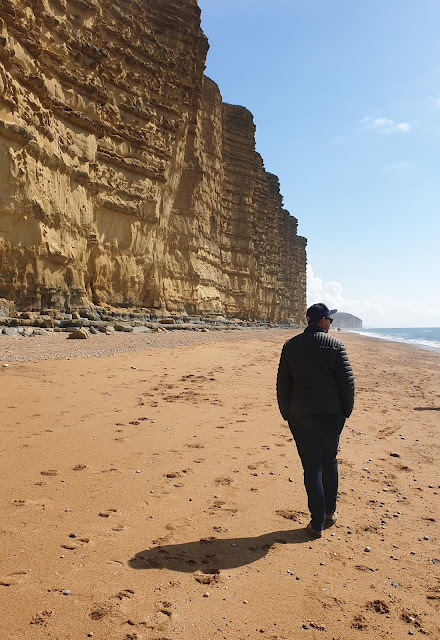 Bridport/West Bay is absolutely beautiful, and we were lucky to visit on a lovely, sunny day. 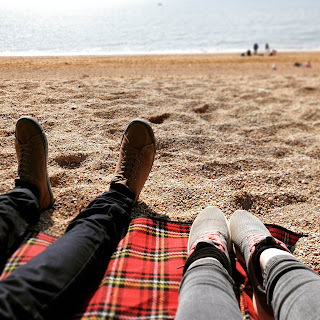 I hope the weather is as good the next time we visit! Whats your favourite TV show to binge watch? Have you ever visited a film set?